TrueRing, a proprietary VoIP solution, includes an extensive offering of modern business features including toll-free and local number options, free long distance within the continental United States, voicemail to email, fax to email, Find-Me-Follow-Me call routing, and many more; making TrueRing the logical choice for all your business telephone service needs. TrueRing replaces your existing phone company provided local, long distance, and toll-free telephone services with a Voice-Over-IP (VoIP) based telecommunication solution made available via the same high-speed circuits used for your business data needs. This consolidation of voice and data communications on the same circuits provides the opportunity for significant overall savings. 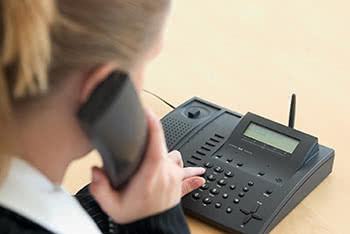 TrueRing can be interconnected with your existing PBX or Key System, or to new standalone VoIP business phones. In most cases you can keep your business’s existing local and toll-free phone numbers, or add new ones. Concerned about quality, or reliability? TrueRing is a subsidiary of IsoFusion Inc., which has been a full-service Internet service and communications provider since 1995, and has the networking expertise to keep your voice and data operating at the levels of reliability and quality that you have come to expect for such mission critical services. For more information, or how we can customize a solution to meet your business needs, contact a TrueRing sales consultant by calling toll-free 1-855-878-7464.